A customer wanted to build a excavator that was controlled by joysticks and small enough to be towed easily from location to location. But when it came to building this machine, the customer faced a challenge–the hydraulic controller it had intended to use wasn’t capable of executing the advanced joystick commands needed to safely drive and operate the machine. The customer turned to New Eagle for assistance. New Eagle’s team first analyzed the machine’s existing system components, drawing a system schematic and characterizing the outputs to actuators. After understanding how the original system operated, New Eagle’s engineers replaced the hydraulic electronic controller with a New Eagle unit that would allow for a wider range of control capabilities–the ECM-112. This controller was paired with a customized wire harness to fit the excavator. Then, using an a model-based design process, New Eagle’s engineers wrote the control logic needed for the joystick inputs and hydraulic actuators to cleanly integrate into the system. After a successful calibration exercise, the excavator was ready to be put to work by the customer. With New Eagle’s assistance, the customer was able to meet its goals for the excavator, without sacrificing its user interface. Thanks to some savvy engineering work, New Eagle was able to meet all of the the customer’s requirements, creating a single or dual-joystick operated excavator. An automotive Tier 1 brake supplier needed a production capable control system developer to commercialize its Electric Park Brake (EPB) technology. To do this, the supplier needed a sensorless solution on production hardware that measured applied brake torque using model-based control theory. Since model-based control engineering was not a core practice area of this supplier’s engineering team, it turned to New Eagle for assistance. New Eagle’s team of engineers began developing a model of the system’s actuator in Simulink®. Next, they wrote algorithms which tested and simulated different environmental conditions and actuator part manufacturing tolerances. With these environmental and tolerance parameters in place, New Eagle made it easy for the mechanical supplier to create its own test scripts which simulated anticipated variations. This ensured control algorithms would work across all real-world scenarios. With New Eagle’s model and parameters, the supplier easily developed and tested control algorithms needed to run its EPB system successfully. When it came time to move from simulation to hardware, the supplier used Raptor’s autocode generation feature to immediately put its Simulink® algorithms on production hardware, able to skip the time-consuming process of rewriting algorithms in C/C++. With New Eagle’s control solution, the supplier was able to pursue OEM platform contracts for its production-quality EPB system. To learn more about how New Eagle can help you efficiently develop a reliable, production-quality control system, contact its team of trusted engineers. 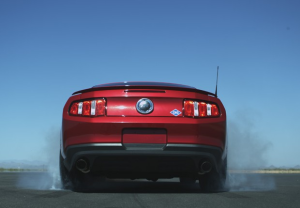 A customer was in the middle of developing four demonstration vehicles (BMW X3, Hyundai Sonata, GMC Acadia Denali, Ford Mustang) powered by a custom natural-gas system. While the mechanical conversion of the vehicles from petroleum to natural gas was successful, the aftermarket control solutions for delivering the fuel did not meet the customer’s performance goals. With a marketing event on the horizon, the customer needed to resolve this problem, and fast. With just four months until the event, New Eagle’s engineers designed, prototyped and tested a custom gas injection system that controlled the injection of compressed natural gas. With better control over the gas injection rate, the customer’s vehicles were able to meet their efficiency goals. At the end of the project, the customer was able to showcase all four of its working vehicles at its marketing event, demonstrating the flexibility of New Eagle’s custom electronics and software development capabilities while pointing to a future for bi-fuel CNG and gasoline technology. A customer wanted to enter a zero-emission electric vehicle into a two-week, off-road endurance race. The race required vehicles to cross up to 500 miles per day on some of South America’s toughest terrain—dunes, mud and rocks. No electric vehicle had ever competed in the race’s history, and the customer wanted to be the first. However, to do this, the customer needed help completing its EV’s control system and calibrating its electric motor. With less than two months until race time, the customer contacted New Eagle’s team for assistance. New Eagle’s engineers knew they had to move fast, so they used New Eagle’s EV Supervisor kit to jumpstart the control system development process. With the pre-programmed electronic control unit (ECU) in the Supervisor kit, New Eagle’s engineers simply worked with the customer’s engineering team to calibrate the ECU’s software to meet the vehicle’s specifications, which sped up the system development process. New Eagle’s compatible, production-level EV components allowed the customer to select hardware that cleanly integrated with its EV, such as a wiring harness, DC/DC converter and pedals. When the customer needed certain components customized—like its contractor control unit and display—New Eagle’s engineers quickly tailored the hardware to meet the customer’s specifications. With New Eagle’s EV control system solutions and ASIL-certified engineering expertise, the customer successfully created a race-worthy EV despite a short timeline. When the EV hit the road (or rather, off it) in South America, it completed a historic first stage in the race. See how New Eagle can help you take control of your machine and development timeline by contacting our team of experts today. Have You Ever Seen a 3-D Printed EV? A customer created a 3D printed tribute to a classic sports car for its50th-anniversary celebration at an auto show. Wanting to take the tribute a step further, the customer planned on integrating an electric powertrain into the vehicle. In order to do this, though, the customer needed to integrate a controller, EV component cooling system and touchscreen display. When this proved difficult, the customer looked to New Eagle for help. New Eagle’s engineers worked closely with the customer to understand the vehicle’s performance requirements and timeline goals. With just three weeks to work on the project, New Eagle’s team successfully designed and integrated a custom EV system into the vehicle. Since New Eagle’s team exclusively uses production components, the customer’s vehicle was ready for more than just the show–it was ready for the road. The vehicle, which was presented to former President Barack Obama and former Vice President Joe Biden, now enjoys a celebrity status. A turbine engine manufacturing company needed to update its obsolete and outdated hardware. It soon realized that it would need to rewrite its legacy control software so it could be applied on a new, reliable, automotive-grade controller. New Eagle was contacted to assist with the process. To solve this complex control problem, New Eagle’s team reverse-engineered the manufacturer’s old system into function specifications. Next, it converted these function specifications into software using embedded model-based development (eMBD) tools. New Eagle’s team then focused on improving the electrical system by redesigning the interface with all new components. When it came time to test the system, New Eagle designed a testing plan that verified that the new system would include all the required functions. Leveraging its eMBD tools, New Eagle developed a running, tested engine to the manufacturer within two months. This new control system allowed the manufacturer to increase production, decrease build time, and deliver a higher quality product, helping the manufacturer cut costs. New Eagle then worked with the manufacturer’s engineering team, providing training and support so that the team would have the skills and tools needed to continue developing. With New Eagle’s hardware supply chain, the manufacturer could also access the reliable components needed to meet its goals and production schedule. New Eagle was contacted to convert an OEM commercial vehicle into an electric one to help a customer to save on fuel costs for its shuttle services. New Eagle helped select an electric powertrain system, develop the vehicle’s controls and wiring harness, and integrate the system. 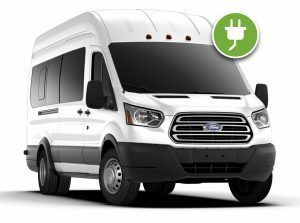 Ford Transit van, electrified by New Eagle and Lightning Systems. Using the EV supervisor software to jumpstart the control development process, New Eagle’s engineers succeeded in getting a first-version of the van running within the week. Next, New Eagle customized the software to meet the customer specifications. By the end of the project, New Eagle had designed a custom kit of hardware and software that could be used to transform nearly any van of the same make and model from an OEM to an electric one. With New Eagle, the customer was then able to launch a business converting gasoline vans to electric. 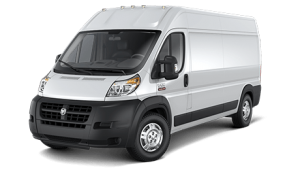 Dodge Promaster van, electrified by New Eagle. When Walmart decided to build a vehicle that demonstrated an alternative-fuel powertrain, it conceptualized an advanced on-highway Class 8 truck. 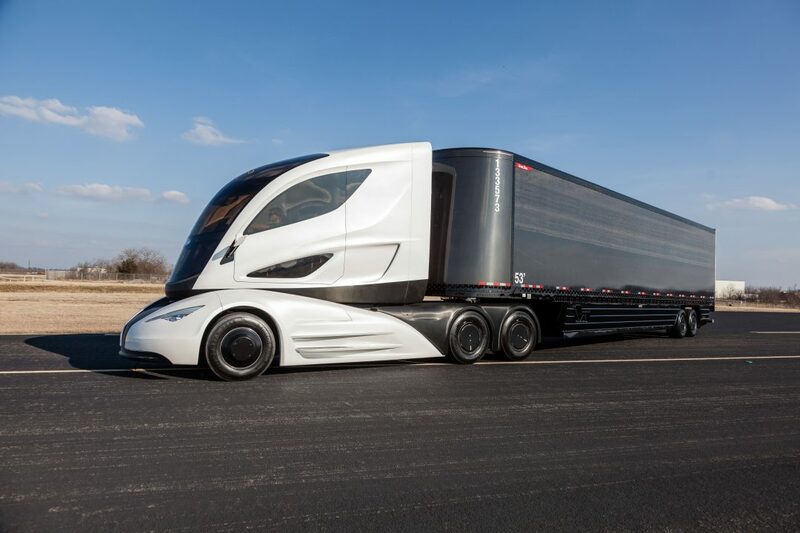 This truck–what would one day become the Walmart Advanced Vehicle Experience (WAVE)–would feature a series-hybrid powertrain and a flexible-fuel microturbine generator. But to transform its visionary vehicle into a reality, Walmart needed help developing the complicated control software and electric powertrain architecture. New Eagle was hired to assist. The result was a truly unique vehicle that met the original customer’s expectations and inspired their own customers and employees alike. With custom software created by New Eagle, Walmart was able to manage the startup and shutdown sequences of the WAVE’s microturbine and hybrid components. In addition, New Eagle’s software monitored the vehicle’s component limits, driver commands and energy management, allowing the WAVE to operate safely and efficiently. By working with New Eagle, Walmart was able to transform the WAVE from an idea into an innovation. New Eagle’s rapid development tools allowed Walmart to meet its timeline goals and showcase how green technology can be leveraged on-highway for cleaner shipping. You can learn more about New Eagle’s hybrid architecture design and EV supervisory software by contacting the New Eagle team. To learn more about the WAVE, check out the video below. Powertrain Integration wanted to provide an alternative-fuel engine that could be used in heavy-duty vehicles. GM supported the project by supplying an 8.0L engine, while CleanFUEL USA provided an LPG fuel system. With these new hardware components at its fingertips, Powertrain Integration was on the cusp of a breakthrough in alt-fuel technology. All it needed was a solid control strategy and a reliable electric control module (ECM), so it turned to New Eagle for assistance. New Eagle suggested an ECM, which Powertrain Integration promptly approved. Next, New Eagle began developing the custom software that the ECM would use to control the machine. Customizing the software so it would meet the diagnostics for alt-fuel requirements on heavy-duty machines, New Eagle created the control solution Powertrain Integration needed to advance alt-fuel vehicle technology. Through the joined effort in developing an alt-fuel solution for heavy-duty vehicles, New Eagle, Powertrain Integration, GM, and CleanFUEL USA successfully opened the gateway to cleaner fuel options for machines like school busses and delivery vehicles that are used every day. An engineering firm was in the middle of tackling a complicated project–developing a system to control a transportable oil rig–when its hardware provider suddenly dropped out of the project. Without a reliable supply of hardware, the engineering firm was quickly falling behind on its timeline. It turned to New Eagle for help. New Eagle immediately met with the firm’s engineers on-site. There, New Eagle was introduced to the oil rig’s complex system–one that needed over ten control modules to safely operate the many hydraulic components. With an understanding of all the system’s requirements, New Eagle then began sourcing the hardware the engineering firm needed to get back on schedule. Next, New Eagle’s engineers assisted with electrical system design and control software development. In just a few months, New Eagle and the engineering firm had developed a functioning oil rig. Continuing to work with the firm, New Eagle tested and refine the control system and its software to ensure that the oil rig would perform safely and efficiently when delivered to the end-customer. With New Eagle’s reliable hardware supply line and electro-hydraulics control expertise, the engineering firm successfully developed a transportable oil rig on a trusted and tested production-control system, which was delivered to the end-customer on time.